The Lebanese army detained a wife and daughter of Islamic State leader Abu Bakr al-Baghdadi as they crossed from Syria nine daysLebanese army detained a wife and daughter of Islamic State leader Abu Bakr al-Baghdadi as they crossed from Syria , security officials said on Tuesday, in a setback to the group as it comes under increased military pressure. 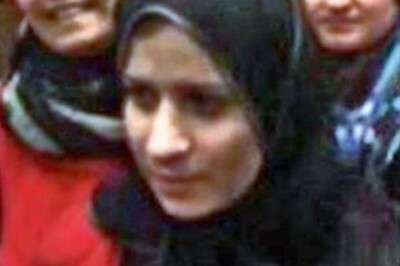 The woman was identified her as Saja al-Dulaimi, an Iraqi, by a senior Lebanese political source and security official. The arrest is a blow to Baghdadi and could be used as a bargaining chip against his group, which has captured many foreign, Iraqi and Syrian prisoners and declared a caliphate across territory it has seized in Syria and Iraq. A senior Lebanese security official said Baghdadi’s wife had been traveling with one of their daughters, contradicting earlier reports that it was his son. 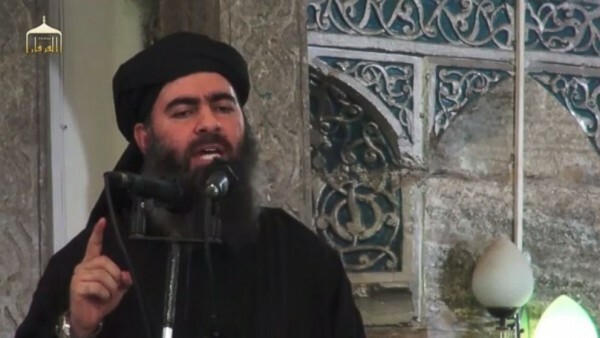 DNA tests were conducted to verify it was Baghdadi’s child, the official said. They were detained in northern Lebanon. Investigators were questioning her at the headquarters of the Lebanese defense ministry. There was no immediate reaction from Islamic State websites. Dulaimi was one of 150 women released from a Syrian government jail in March as part of a prisoner swap that led to the release of 13 nuns taken captive by al Qaeda-linked militants in Syria. Islamic State has seized wide areas of Iraq and Syria, Lebanon’s neighbor to the east. The Lebanese security forces have cracked down on the group’s sympathizers and the intelligence services have been extra vigilant on the borders with Syria. They have arrested over the past few months dozens of Islamic militants suspected of staging attacks to expand Islamic State influence in Lebanon. A U.S.-led alliance is seeking to roll back Islamic State’s territorial gains in Iraq and Syria. U.S. President Barack Obama has vowed to “degrade and ultimately destroy” Baghdadi’s group, which is seeking to reshape the Middle East according to its radical vision of Islam. Spillover from the Syrian conflict has repeatedly jolted neighboring Lebanon. Militants affiliated to the al Qaeda-linked Nusra Front and Islamic State are demanding the release of Islamists held by the Lebanese authorities in exchange for 27 members of the Lebanese security forces taken captive in August. Islamic State, which U.S-led forces are bombing in Iraq and Syria, includes thousands of foreign fighters and its leadership draws from militants with combat experience in Iraq. The United States is offering $10 million for information leading to the location, arrest, or conviction of Baghdadi, an Iraqi, whose real name is Ibrahim Awwad Ibrahim Ali al-Badri al-Samarai. Baghdadi called for attacks against the rulers of Saudi Arabia in a speech purported to be in his name last month. He said his self-declared caliphate was expanding in Saudi Arabia and four other Arab countries and called for “volcanoes of jihad” the world over in the speech released on Nov. 13. A CV of Baghdadi published on social media in July by Islamic State sympathizers described him as married but gave no further details. It is unclear how many wives he has. He is allowed up to four, in accordance with Islamic law. Born in 1971, Baghdadi comes from an Iraqi family of preachers and Arabic teachers, according to a biography distributed on Islamist forums that says he studied at the Islamic University in Baghdad. According to U.S. media reports, Baghdadi was detained for several years at Camp Bucca, a U.S.-run prison in southern Iraq, before becoming head of the Islamic State of Iraq in 2010, a predecessor to Islamic State, which expanded into Syria in 2013. In June this year, his group named him “caliph for the Muslims everywhere”, and called on all Muslims to pledge allegiance. Although he is rarely pictured, a video released in July showed him preaching in a mosque in the Iraqi city of Mosul, dressed in a black robe and turban. He has proven ruthless in eliminating opponents and showed no hesitation in turning against former allies: he launched a war against al Qaeda’s Syria wing Nusra Front, leading to a split with al Qaeda leader Ayman al-Zawahri, earlier this year. The Lebanese authorities have also detained the wife of Anas Shirkas, senior Nusra Front leader from Syria, security officials said on Tuesday. They did not identify her. Lebanon need to attack Al Nusra and ISIS who are keeping our ISF and SOLDIERS in Arsal. go surround the area and tell these mother fuckers to surrender or wipe them off the map. take some Syrian Refugees who are siding with you and let them walk in front of you case in case of any mines. Show these animals what its like to behalf like one. But I think we should let Nassrallah take the lead since the S.O.B got into this mess. I think we should make her wear revealing clothes, and video tape her walking down a runway. Threatening to have her do more laps if ISIS doesn’t release the kidnapped people in the next 24 hrs ;-). Then have her take-off one clothing article at a time with each deadline passing. And it that doesn’t work, we’ll have her recite from a Bible that she’s found the light! The wives seem to float around a lot … perhaps she’s happy he’s doing his Mutah-Duty with all those ‘infidels’, while she is taken care of with three squares a day, knowing nothing about what hubby’s main job is. where is that Hijab she is suppose to be wearing? she is not following the strict Islamic Law set forth by ISIS. we should behead her. now one minute somebody says she is Syrian and with her son. another says she is Iraqi with her daughter. this woman seems to be happy. are we really sure we have the right person here.. i mean what is she doing in Lebanon in the first place? vacationing? The line is, she was escaping Assad’s jail … I suppose they treated her well …but the face-covering is reserved for the guys they catch coming in trucks … hehehe … like the one who picked the unlicensed driver. OOoopsie.